Here’s the truth about Jingle Bells. It’s not a Christmas song — it’s a Thanksgiving song. It’s not a jolly family song — it’s a drinking song. It’s at the centre of a nasty dispute, and it was written by a 'jerk'. Here's the truth about Jingle Bells. It's not a Christmas song — it's a Thanksgiving song. It's not a jolly family song — it's a drinking song. It's at the centre of a nasty dispute, and it was written by a 'jerk'. 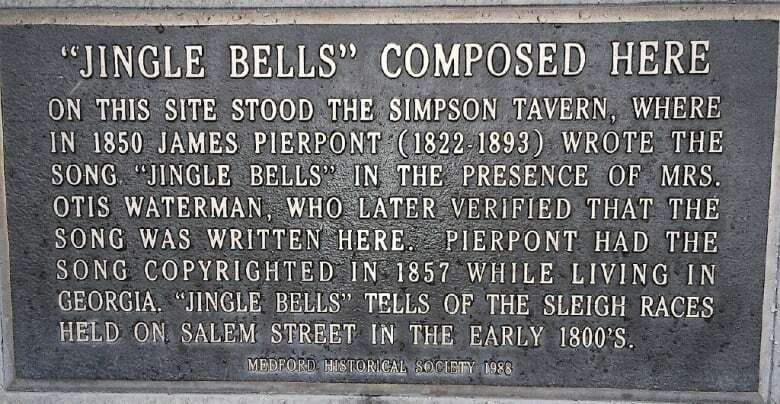 The real story of Jingle Bells starts on the banks of the Mystic River in New England, just upstream from Boston, in Medford, Mass. On this site stood the Simpson Tavern, where in 1850, James Pierpont wrote the song Jingle Bells. Kyna Hamill, professor of literature at Boston University and vice-president of the Medford Historical Society, spoke to Daybreak South's Chris Walker about the origins of Jingle Bells. As you might expect, the story begins with a one-horse open sleigh. "Medford is home to a series of sleigh races that used to occur on a street called Salem Street, and because of this event, which pretty much happened in the middle of the 19th century, these sleigh races — which you could pretty much call drag races — down this street was one of the most popular events," said Hamill. "Because of that, the influence and inspiration of the song, we believe came from those races." 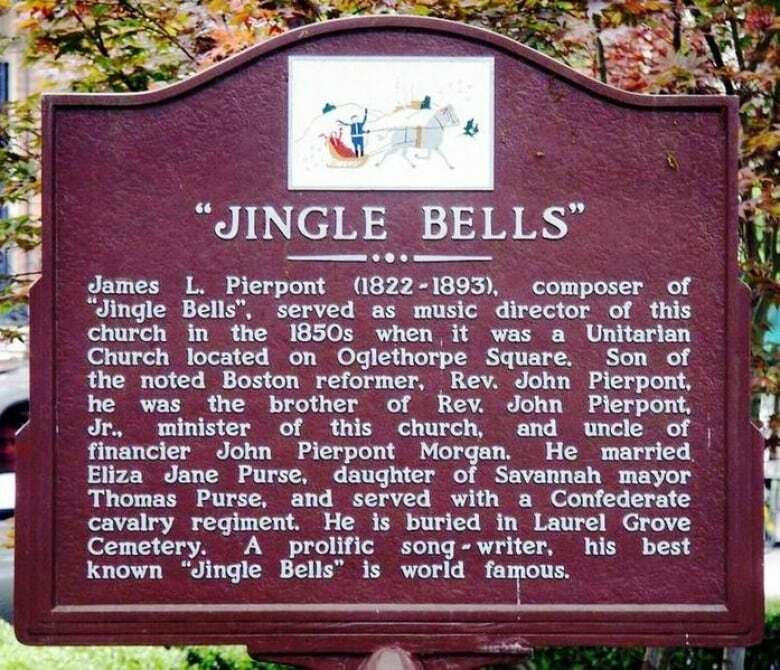 Who was the author of Jingle Bells, James Lord Pierpont? "He's kind of a jerk, actually. He would leave all of the time. He went out west to try to make his way with the gold rush. He went all over the place and left his wife with his father," said Hamill. Then when his wife died, he quickly remarried and abandoned his kids. "He didn't come, apparently, to his first wife's funeral. He's sort of not a nice guy." Hamill said there's more to the song itself. It was never a Christmas song. "If you think about the fact that one of the great industries of Medford was rum-making, and if you really think about the lyrics of the song, with the lens that these are drag races that are happening at top speed down the centre of this street, one of the suggestions is that it's actually a drinking song," she said. "Some of the words are actually associated with the idea that this is a song you sing while you're drunk, talking about an event that happened while they were drunk." "If you want to go psychological about this, he's a guy who was under the shadow of this very rigid father, who was totally against drinking, and was in the temperance movement, and was part of the abolitionist movement and took himself very seriously," said Hamill. "It's kind of a song about a young guy breaking away from his father's shadow. "People who love the history of Christmas will probably not like this answer, but I think that there's something about the relationship between the father and the son which kind of shows how he doesn't want to be like his father in this song. He wants to have fun." So how did a drinking song by a deadbeat dad under the thumb of his strict father ever get to be the Christmas song of record? "There's people that have really strong conspiracy theories about this song. I really don't know why people get so impassioned about this song," Hamill said. Those conspiracy theories originate in Savannah, Ga., where residents believe the people of Medford are stealing their song. 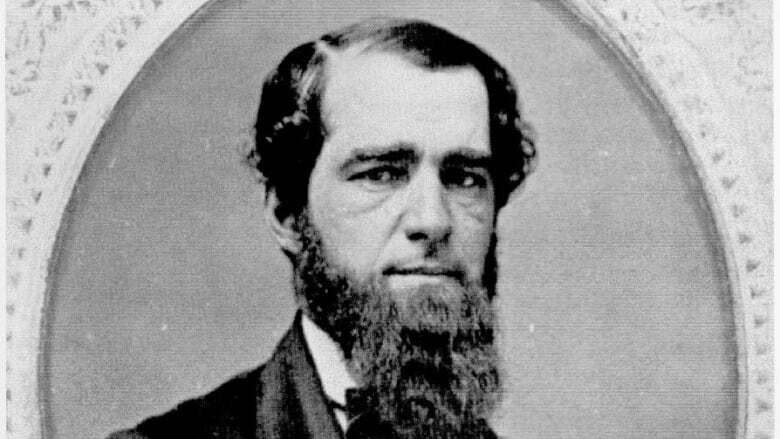 The theory stems from the fact that when Pierpont's first wife died, he moved to Savannah, married the mayor's daughter, and became the church's music director. During a Thanksgiving service, he led the congregation in a rousing rendition of Jingle Bells. They loved it, and he performed it again a month later at Christmas. Thus, Jingle Bells became a Christmas song — Savannah's Christmas song. One more thing about Jingle Bells. Some 115 years after it was written in a pub in Medford, Jingle Bells became the first song ever broadcast to earth from space, during a Gemini mission in 1965.